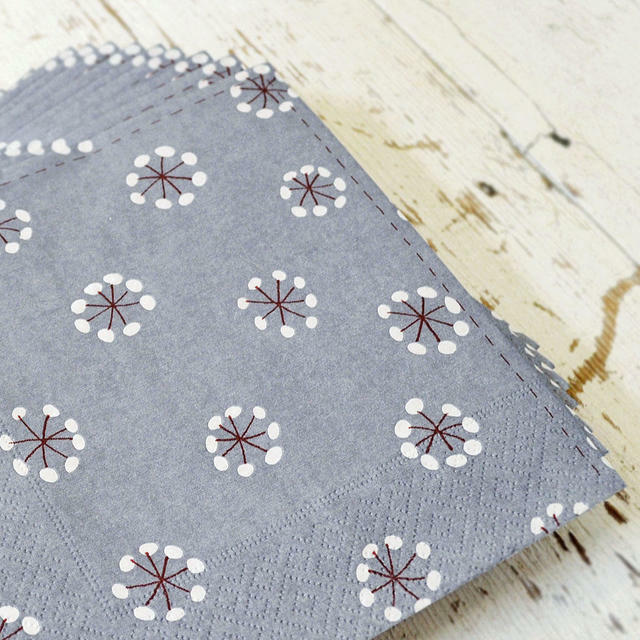 These beautiful paper napkins are just perfect for winter or christmas entertaining. 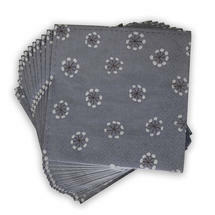 Contemporary paper napkins in In soft elegant nordic grey with a plum flower dot pattern, the napkins look stunning against simple white tableware. Each pack contains 12 napkins.